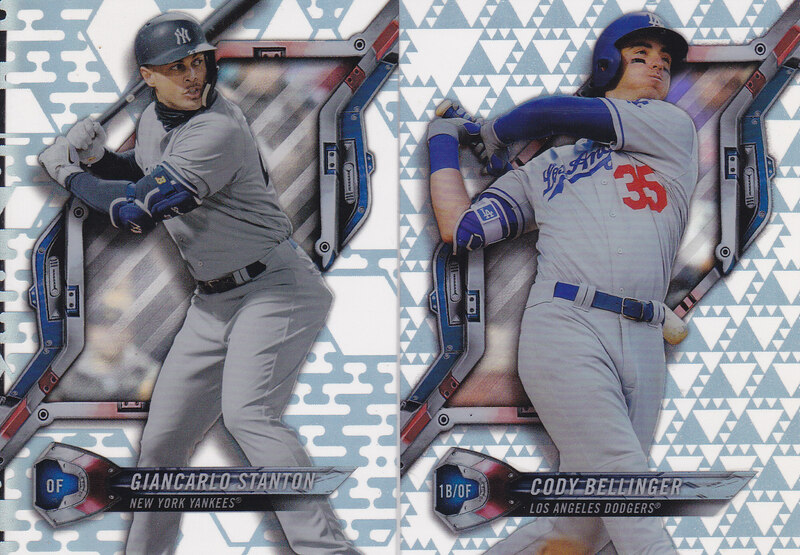 Topps trots out the major league version of their acetate card series with 2018 Topps High Tek Baseball. The box highlights the 2018 American League Rookie of the Year Shohei Ohtani, who is also the cover boy for 2018 Topps Update Baseball, and 2018 Topps Chrome Baseball. Capitalizing on his international appeal, Topps takes a large bet on his star driving interest towards the set’s futuristic design. Each box contains 40 cards, giving collectors one oversized pack to devour. 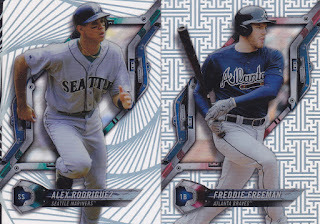 High Tek’s signature has been its base card designs, each created in eight increasingly hard-to-find patterns. Topps has added to the chaos by creating separate designs for the American and National Leagues. Below are the four major patterns of the set with examples for both leagues. 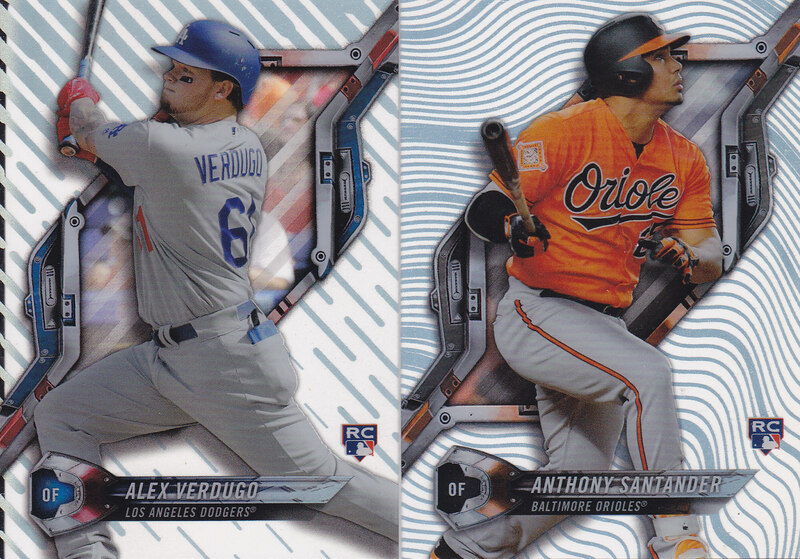 Topps brings color to the acetate designs with their parallel inserts. 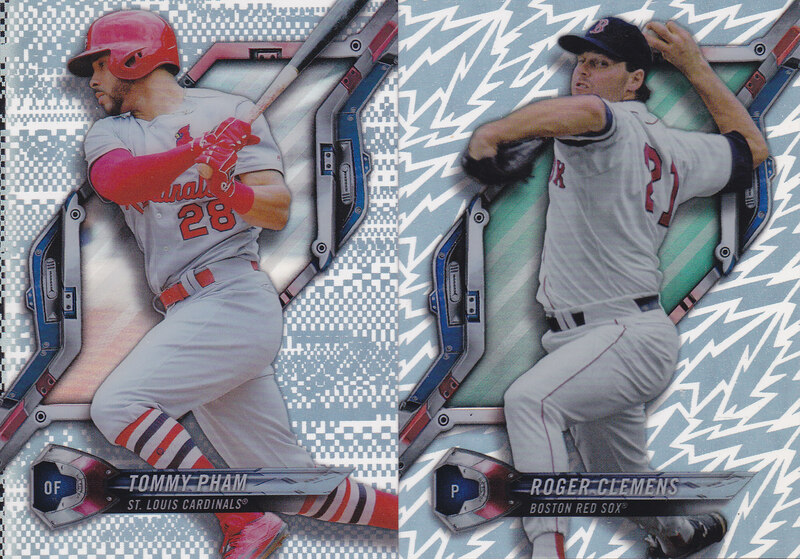 Topps' vivid palette makes the designs pop in an attractive way that plays in 2018 Topps High Tek's favor. Player collectors will have their hands full with 18 different variations to track down. The box provided for this review delivered five Rainbow Foil Parallels, ranging from the rarer Red (#/10) to the more common Blue (#/150). The amounts for each parallel card are listed below. Topps makes hefty promises with two on-card autographs in each box. 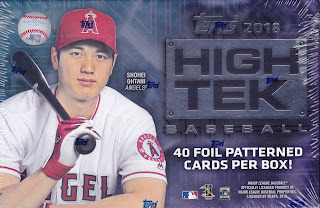 There is a smooth blend of prospects, current and retired stars, and Hall of Famers available as signers for 2018 Topps High Tek Baseball. 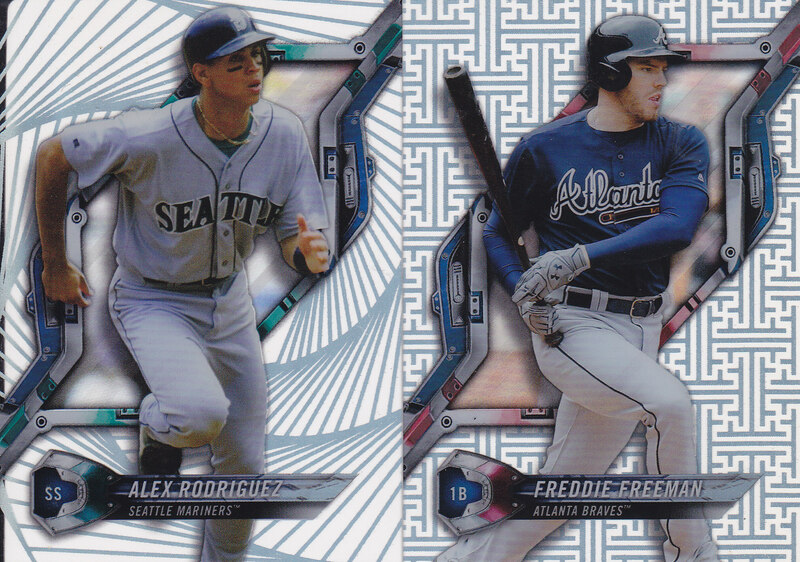 Staying in tune with the base card set, the autographs also come in six different numbered parallels. 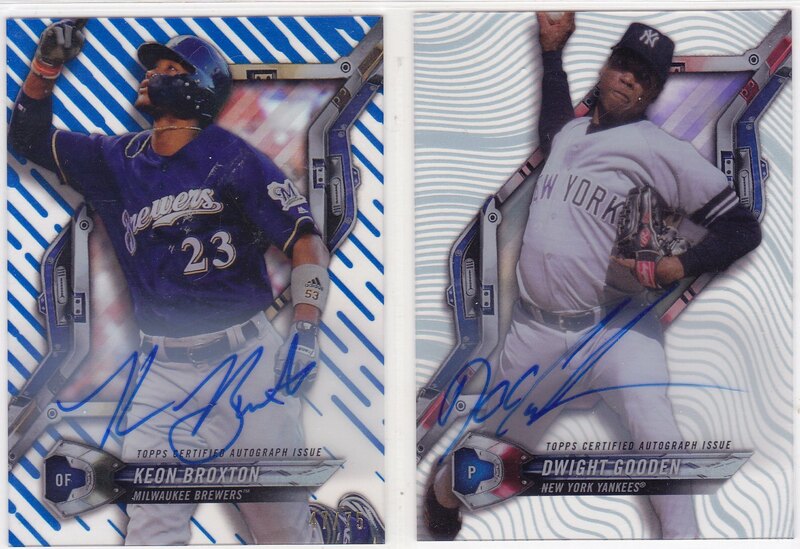 The box provided for this review yielded a Dwight Gooden base autograph and a blue Keon Broxton autographed (#/75). Opening a box of 2018 Topps High Tek Baseball is a wild rollercoaster ride, as it is an exciting, but confusing journey to figure out each variation’s place within the set. The lack of a readily available guide without the internet is a source of frustration, hence why you're here. After sorting through the 40-card aftermath, I was left with little direction on what to do next. Pursue a set that you are miles away from? Track down a rainbow of your favorite player? At $100 per box, neither option seems palatable. While the on-card autographs were a plus, collectors will have to weigh the time and energy needed to pursue 2018 Topps High Tek Baseball this off-season.